You can read “The Non-consensus Entrepreneur: Organizational Responses to Vital Events” from Administrative Science Quarterly free for the next two weeks by clicking here. Want to stay up to date on all of the latest research published by Administrative Science Quarterly? Click here to sign up for e-alerts! Listen to the radio interview with author Elizabeth Pontikes on WGN‘s “The Opening Bell” here. Extreme teams complete their tasks in unconventional performance environments and have serious consequences associated with failure. Examples include disaster relief teams, special operations teams, and astronaut crews. The unconventional performance environments within which these teams operate require researchers to carefully consider the context during the research process. These environments may also create formidable challenges to the research process, including constraining data collection and sample sizes. Given the serious consequences associated with failure, however, the challenges must be navigated so that the management of extreme teams can be evidence based. We present an approach for conducting actionable research on extreme teams. Our approach is an extension of mixed-methods research that is particularly well suited for emphasizing context. The approach guides researchers on how to integrate the local context into the research process, which allows for actionable recommendations. At the same time, our approach applies an intentionally broad framework for organizing context, which can serve as a mechanism through which the results of research on extreme teams can be meaningfully accumulated and integrated across teams. Finally, our approach and description of steps address the unique challenges common in extreme-team research. While developed with extreme teams in mind, we view our general approach as applicable to more traditional teams when the features of the context that impinge on team functioning are not adequately represented by typical descriptions of context in the literature and the goal is actionable research for the teams in question. You can read “An Approach for Conducting Actionable Research with Extreme Teams” from Journal of Management free for the next two weeks by clicking here. Want to keep current on all of the latest research from Journal of Management? Click here to sign up for e-alerts! How Does Organizational Design Influence the Risk-Taking Perceptions of Managers? Though we know a great deal about why organizations and managers take risks, we know little about how the structure of an organization influences how decision makers perceive risk. This research examines how two fundamental organizational design variables interact to influence senior managers’ perceptions about the extent to which the organization supports risk taking. We study this in a new product development context. The study argues that the use of cross-functional teams, a type of horizontal control system, makes managers perceive a higher degree of organizational support for risk taking. The centralization of decision making authority, a type of vertical control system, reduces the strength of the positive relation between cross-functional team use and risk perceptions. These vertical and horizontal control mechanisms interact to influence managers’ perceptions of organizational support for risk taking. Based on a survey of 102 senior managers from a variety of organizations in the U.S. and Norway, the study finds that the extent of cross-functional team use does indeed positively relate to senior managers’ perceptions of organizational support for risk taking. Interestingly however, there is a ceiling effect to this relation. An extensive use of cross-functional teams positively relates to a perceived organizational support for risk taking at the senior manager level, but only when the senior managers have low to moderate levels of decision-making authority. At high levels of senior manager authority, risk related perceptions are more positive, but also largely independent of the extent to which the organization uses cross-functional teams. This study points to the importance of balancing an organization’s horizontal and vertical control systems, given their effects on managers’ perceptions of support for risk taking. From a practical perspective, the results of the study imply that the widespread use of cross-functional teams (a commonly used tool for new product development) alone is not sufficient to guarantee the greater risk taking needed for successful new product development; senior managers simultaneously need to have some decision making authority. At high levels of senior manager decision making authority, however, perceived support for organizational risk taking is high and independent of the use of cross functional teams. The question for organizations is, does cross-functional team use generate a sufficiently high return to compensate for these changed perceptions of senior managers? Organizations may be able to use cross-functional teams as a true “best practice” for new product development only when they are able to recognize and manage the more positive risk-related perceptions that accompany extensive cross-functional team use, by vesting senior managers with an appropriate degree of authority. You can read “The Influence of Centralization and Extent of Cross-Functional Team Usage on Senior Managers’ Risk-Related Perceptions” from Group and Organization Management for free by clicking here. Did you know you can have all the latest research from Group and Organization Management sent directly to your inbox? Just click here to sign up for e-alerts! 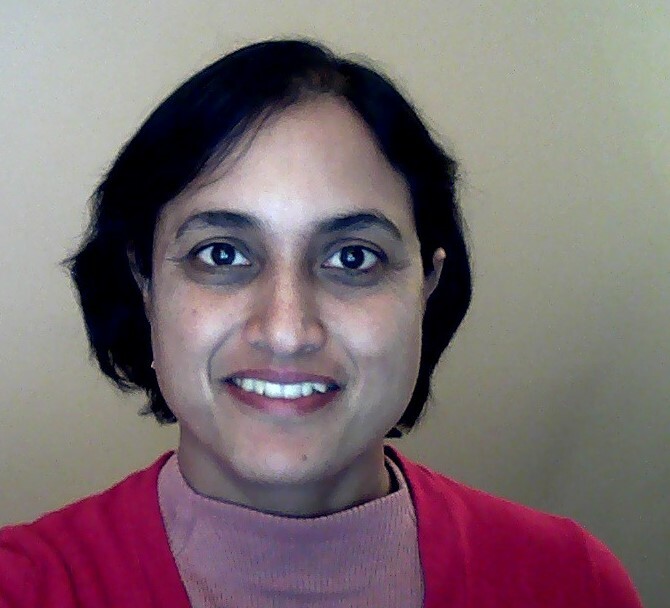 Devaki Rau is an Associate Professor of Management at Northern Illinois University. Her research interests include strategic decision making, top management teams, and organizational learning. Her research has been published in journals such as the Strategic Management Journal, Journal of Management, Journal of Applied Psychology, Small Group Research, and Journal of Business Research. She earned her PhD from the University of Minnesota. Thorvald Haerem is an Associate Professor at Norwegian Business School. His research interests include organizational and individual routines, decision making, and information processing. He has published research in journals such as the Journal of Applied Psychology, Organizational Studies, Organization Science, Journal of Behavioral Decision Making, and Academy of Management Review. He earned his PhD from Copenhagen Business School. Elisa Fredericks has published on the development of new products in Industrial Marketing Management, Journal of Product Innovation Management, Journal of Qualitative Research and Journal of Nonprofit and Public Sector Marketing as well as being an active conference participant. She is an Associate Professor of Marketing at Northern Illinois University. Her research and teaching includes product development and management and cross functional integration. She earned her PhD at the University of Illinois at Chicago and has a BS and MBA from New York University. How Should Businesses Respond to Bad Online Reviews? According to Forbes, 72% of people trust online reviews just as much as they would trust the opinion of a friend or family member. Furthermore, 4 out of 5 consumers admitted in a survey that they changed their mind about a purchase after reading online reviews. With statistics like these, it’s not surprising that many businesses have chosen to start responding to bad reviews in hopes of atoning for the customer’s bad experience. But how can businesses successfully respond to these reviews online? Authors Beverley A. Sparks and Graham L. Bradley recently explored this topic and developed a typology of managerial responses to negative online reviews in their article “A ‘Triple A’ Typology of Responding to Negative Consumer-Generated Online Reviews” from Journal of Hospitality and Tourism Research. Increasingly, consumers are posting online reviews about hotels, restaurants, and other tourism and hospitality providers. 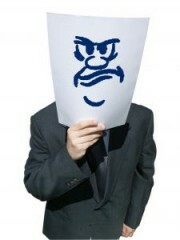 While some managers are responding to these reviews, little is known about how to respond and how to do so effectively. Drawing on the service recovery, justice, and electronic word-of-mouth literatures, we developed a typology of management responses to negative online reviews of hotel accommodation. An initial version of the typology was verified through interviews with eight industry experts. The final “Triple A” typology comprised 19 specific forms of managerial responses subsumed within the three higher-level categories of acknowledgements, accounts, and actions. The typology was tested on a sample of 150 conversations drawn from the website, TripAdvisor. Most responses included an acknowledgement of the dissatisfying event, an account (explanation) for its occurrence, and a reference to action taken. Responses differed between top- and bottom-ranked hotels. 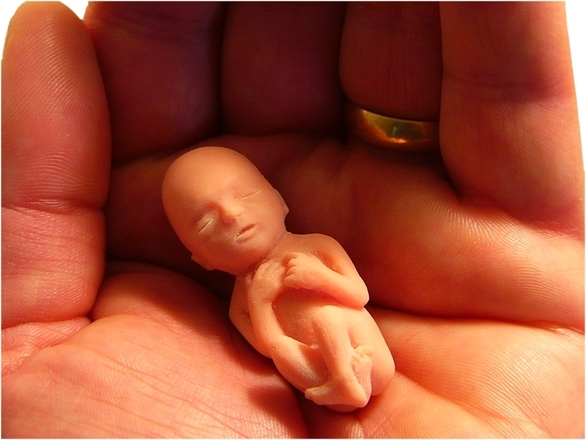 Propositions for extending this area of research are provided. 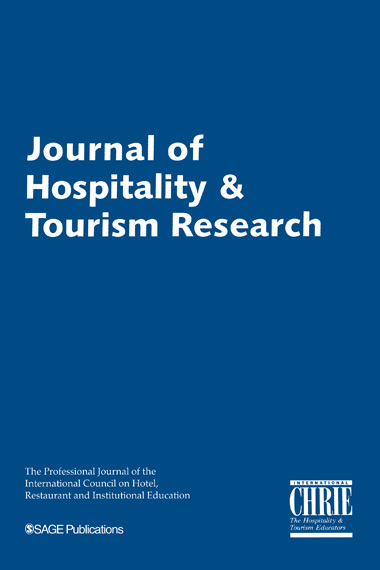 Click here to read “A ‘Triple A’ Typology of Responding to Negative Consumer-Generated Online Reviews” from Journal of Hospitality and Tourism Research for free! Want to get notifications about all the latest research from Journal of Hospitality and Tourism Research sent straight to your inbox? Click here to sign up for e-alerts! In the latest podcast from Journal of Management, Ernest Hugh O’Boyle Jr, lead author of the article “The Chrysalis Effect: How Ugly Initial Results Metamorphosize Into Beautiful Articles” speaks with Journal of Management Associate Editor Fred Oswald about the article’s findings concerning questionable research practices. The podcast can be downloaded by clicking here and the article can be read for free by clicking here. Follow this link to subscribe on iTunes. 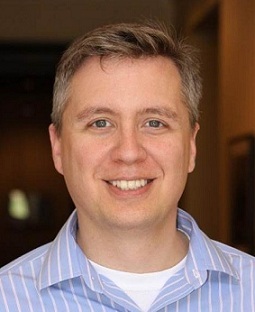 Ernest Hugh O’Boyle Jr is an assistant professor of Management and Organizations at the University of Iowa. His research interests include questionable research practices, outcome reporting bias, publication bias, structural equation modeling, meta-analysis, “dark” personality traits, and superstar effects. He has been published in such journals as Journal of Management, Organizational Psychology Review, Family Business Review and International Business Review. Want to know about all the latest news and research like this from Journal of Management? Click here to sign up for e-alerts!